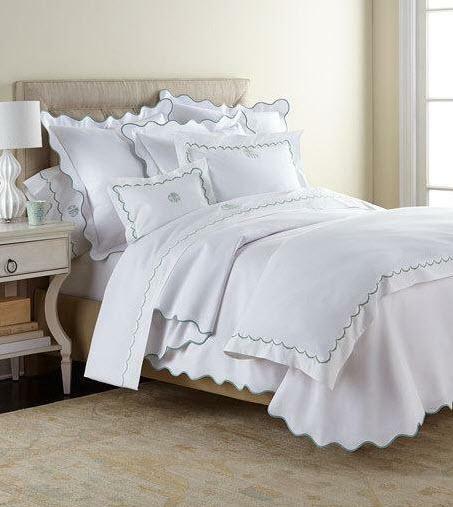 Matouk Lanai Monogrammed Scalloped Bedding Collection transforms the bedroom into an urban oasis with this easy-care pique collection finished with a delicately scalloped taped trim. Available in a variety of colors. 60% cotton/40% polyester made in the USA . This is the perfectly affordable luxury line that lets you add a pop of colors. Our pique is easy care and easy washing. 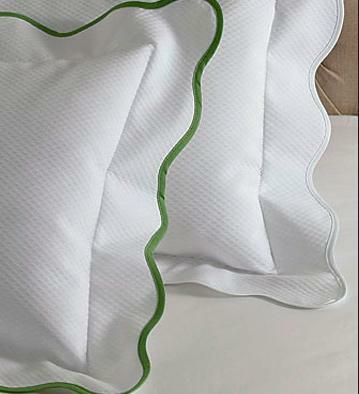 Choose to match your applique monogram or embroidered monogram to the scalloped trim choose.. You may want a contrasting color monogram. 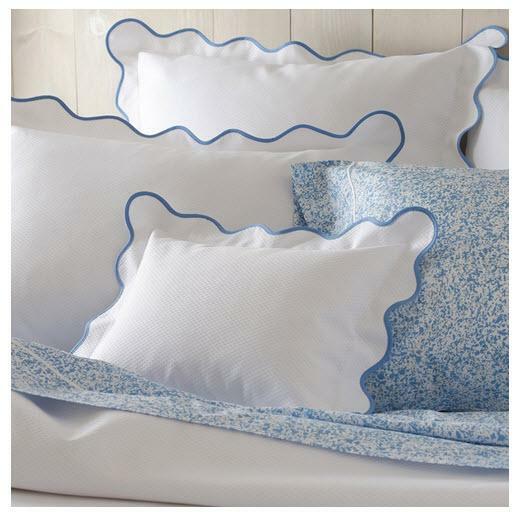 We will match the applique or the embroidered monogram to the trim color choice.